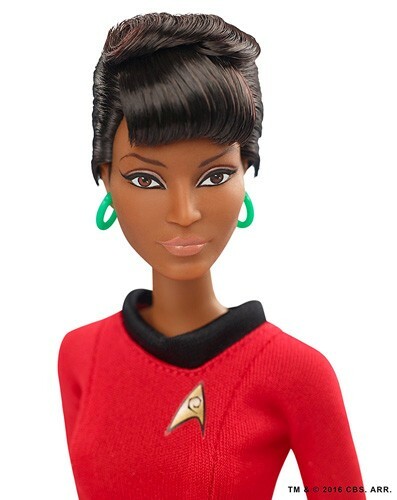 Celebrate one of TV's inspiring female and African-American role models with this Barbie Collector Star Trek 50th Anniversary Uhura doll! 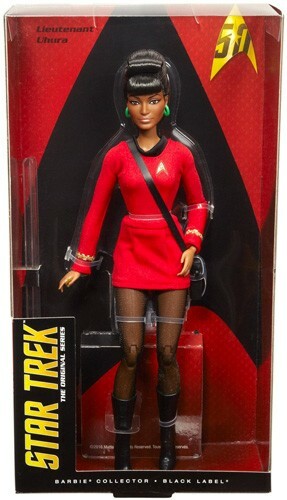 Nyota Uhura is a master linguist and cryptologist, and she's always ready for adventures across space. 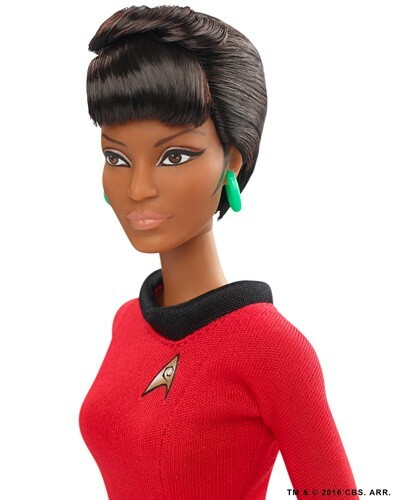 This doll is modeled after Nichelle Nichols and features a fully articulated body and an outfit based on the uniform from the original show. 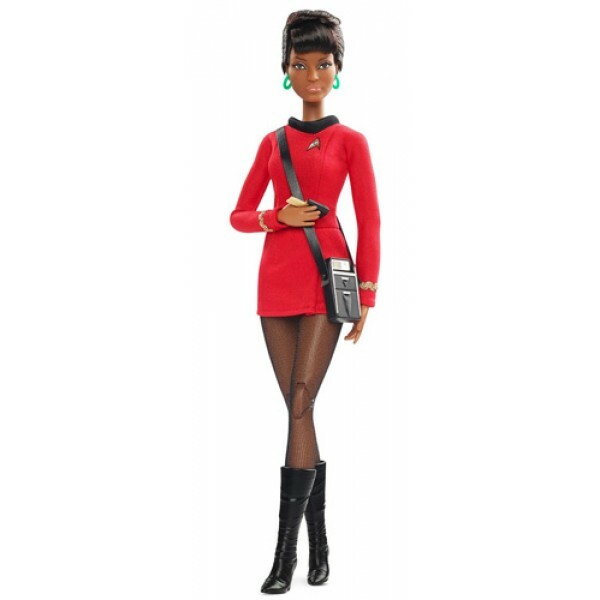 The doll also comes with a communicator in one hand and a tricorder with a shoulder strap. 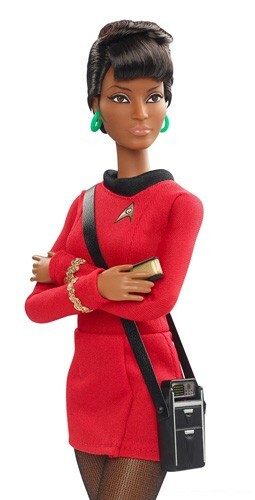 For more empowering choices for pretend play, visit our Dolls / Action Figures Collection.